During this period of the year, Nature starts again its life cycle after the "descending" period during autumn and winter. It is useful to remind, even if by now it should be unnecessary, that it is a re-activation of cycles not only in biological and physical terms, but also in meta-physical and meta-biological terms. Considering therefore this double perspective in the meaning of the term "cycle", I think it is worth recalling that, in the Traditional Roman Spirituality, Time has a completely different value when compared to the present use. In everyday life, we consider time in a linear manner, measurable in an abstract way in mathematical terms: thus it appears as an indistinct flowing of random events. Profane time is structured in seconds, minutes, hours, days, weeks, months, years, and so on. Time commonly appears to us as structured in a grid composed of empty boxes (just observe empirically any calendar). Time is therefore an "empty" dimension which can be filled with a random "present": any activity can be randomly made in any anonymous moment. In the Traditional Roman Spirituality, yesterday and today, Time is a "full" dimension: it is a process composed of concrete temporal events that result from natural or social well-identified events. From the identification of these well-defined events derives that Time is not a progression of empty random events, but an ordered structure of identified and classified events , each of which full of well-identified energy and forces, which for this reason can not be interchangeable . The harmony of Nature and the Universe are poured in the harmony of the Sacred Time, the knowledge of which allows to perform certain actions in their correct point in time and therefore in the right and, in this sense, "propitious" moment. Time has thus its own identity having also its cycles, which can be known, capable to attributing a defined character and a value to each moment of existence. In this sense we understand why certain rites are performed in a given moment, in a given period of the year, because this allows us to be "synchronized" and aware of the real nature of Time: every divine power has therefore "his/her own time". The future is not a mere adventure into the unknown: in a some extent, our existence, like that of all other living beings, results from an adaptation to natural mega-cycles that go far beyond our ability to influence them. This inability to understand our structural links with the Sacred Time and its cycles is perhaps one of the most relevant cause of unhappiness, disconfort, depression that afflict the majority of humanity today. This long introduction is essential to understand the meaning and the Time allocation of this re-activation of the natural cycles in spring I mentioned above, which in ancient times was ritualized through the Ver Sacrum. Here I do not want to talk about the concept of Ver Sacrum in historical or anthropological terms: what I would like to do is just to discuss the sense of this cyclical event of the sacred calendar in contemporary terms, the meaning it may have for us, Cultores and Cultrices, today. For its connections with this concept of Sacred Time, this peculiar period of time, ritualized in the Ver Sacrum, is an extremely complex and rich of implications phase I can only briefly mention in this occasion. The Ver Sacrum is a consecration to the Gods and Goddesses of all that is "alive" being about to come to light during this time of the year. This is the time of generation. A whole new "generation", in the most broad literal sense of the term, is consecrated to the divine sphere then becoming fully real. Similarly, this is the time of the re-generation: also re-generation is therefore consecrated to the Divine in this period. Considering that everyone of us is a microcosm, in this period of the year a physical and inner spiritual generation and regeneration phase is reactivated being ritualized in the Ver Sacrum, and then filled with the Divine. According to the Tradition, generation and re-generation are always synonymous with "movement". Energies and forces in motion, swarming and roaming freely, only apparenlty in a random movement, are the basis of the generation. Tradition tells us, with the voices of the myths, about groups of young people, who, following a guide, in the appearance of an animal, wander, radiate, through the forests along invisible paths, starting from the Omphalos of Cotilia, in central Italy - in the Sabine Land, to populate the dimension of the wild, of the non-human. The Ver Sacrum is a ritual walk and wander along invisible paths through places symbolically hostile, following a spirit-guide, from a center of divine irradiation. This ritual walking takes place in the period sacred to Mars as male generating force. 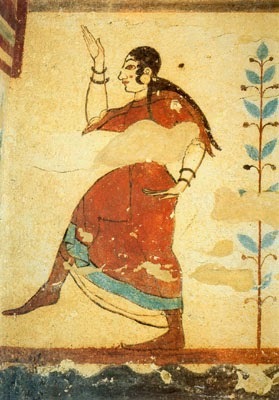 Mars is the divine force that inspires the major groups of sodales that in the past performed ritual "dancing" or "walking": the Salii and Arvali. Often the guiding spirits have the appearance of the woodpecker or the wolf, sacred animals to Mars. All this mythical representation must be read and interpreted in a non-profane way. Walking takes, especially in this moment of the year, a very important ritual and symbolic value. It becomes the metaphor of our being on the Via, the spiritual journey undertaken by the Cultor and the Cultrix that in this special time of the year is reconfirmed, ritualized and sacralized as liturgy of physical and inner spiritual generation and regeneration. Central Italy, starting from the Sabine Land, was crossed by a network of invisible paths, ritual roads that were covered in this time of the year with sacred processions. We have lost the memory of this invisible network, but some traces of these ancient paths are still visible. Along these paths of the Ancestors, every rock, stone, hill, mountain, tree, river was (and still are) part and components of a "sacred and mythical literature" useful for this symbolic path of generation and regeneration. Young men and women in the past (being the "New Generation"), and today the Cultor and the Cultrix, wander along these ritual invisible paths where every natural element is a sign of this process of natural generation and regeneration which corresponds to a personal (physical and spiritual) generation and regeneration. During the Ver Sacrum, the Cultor and the Cultrix, reading this natural "literature" around them, acquire a full awareness of these processes in which themselves are an integral part. This map of a sacred geography is made ​​of myths and signals telling the mythical story of this generation process which can be read by wandering along the Via. When walking in the Ver Sacrum, the ritual journey, the Cultor and Cultrix acquire awareness of the "existence" that again comes to light. The existence is symbolized by this act of walking along the Via itself, the path open and followed by the Ancestors, the Via of the Mos Maiorum. Walking becomes a ritual. As I mentioned above, the memory of these ancient paths has been lost, but perhaps some traces are still visible. I think that, for example, the "Etruscan Rock-Cut roads" can be considered parts of this network of Ritual Paths. The Etruscan rock-cut roads are very complex elements in the symbolic and spiritual landascape of Italy which require a specific discussion not viable in this post. I will discuss this topic in a specific post in the future. Nonetheless, I will provide just few brief considerations useful for the present analysis. 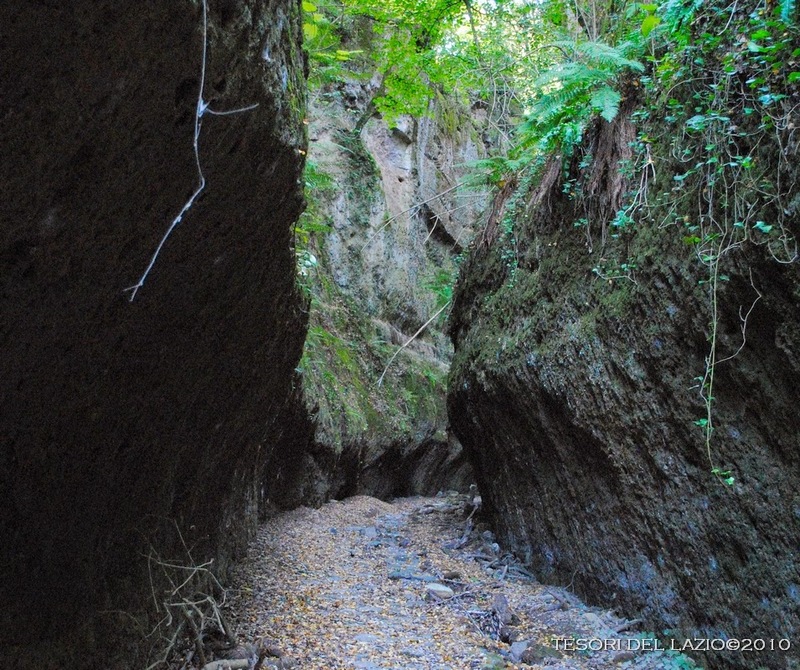 The "Etruscan rock-cut road" is a tortuous passage carved into the rock in very ancient times: poor is the light that penetrates there and the course is full of curves. This path carved into the rock can be interpreted in two main perspectives. On the one hand, it is the wandering in the cosmos, which is obscure: the rock is the image of the cosmos and the Cultor and Cultrix, walking through the narrow and damp rock walls, penetrate with the intellect what is "obscure". Each curve is a symbolic interval dedicated to the elements of the cosmos and regions of the sky. Cosmos is therefore a generated and perceptible element: but, on the other hand, walking through the narrow damp rock walls in the darkness symbolizes the progress among the unseen powers, not perceptible to the eye. It is also a walking in the matter-generating moist, the Mater-Materia: a journey of "return", a rebirth. A Regeneration in palingenesis. In questo periodo dell'anno, la natura riprende il suo ciclo vitale dopo la "discesa" dell'autunno e dell'inverno. Faccio notare, anche se ormai dovrebbe essere superfluo, che si tratta di una ripresa di cicli non solo biologici e fisici, ma anche meta-biologici e meta-fisici. Proprio in considerazione di questa doppia valenza del significato del termine "ciclo" penso che sia opportuno ricordare che, nella prospettiva della Spiritualità Tradizionale Romana il tempo non ha una valenza profana come siamo normalmente abituati a pensare. Infatti, nella nostra quotidianità, consideriamo il tempo in una forma lineare, misurabile in modo astratto in termini matematici: in tal modo esso appare come un fluire indistinto di eventi casuali. Il tempo profano viene strutturato in secondi, minuti, ore, giorni, settimane, mesi, anni e così via. Per questo esso ci appare come una struttura a griglia composta da caselle vuote (basta osservare empiricamente un qualunque calendario). Il tempo è pertanto "vuoto" e si riempie tramite un "presente" casuale in cui una qualsiasi attività può essere altrettanto casualmente svolta. Per la Spiritualità Tradizionale Romana, sia nel passato che nella contemporaneità, il Tempo è una dimensione "piena", è un divenire composto da eventi temporali concreti che derivano da ben identificati eventi naturali o sociali. L'identificazione di questi eventi di riferimento fa sì che il tempo si manifesti non come una progressione casuale di eventi vuoti, ma una struttura ordinata e classificata di eventi identificati, pieni di energie e forze altrettanto identificate, che per questa ragione non possono essere interscambiabili. L'armonia della Natura e dell'Universo si riversano nell'armonia del Tempo sacro, la cui conoscenza consente di effettuare determinate azioni nel loro momento temporale corretto e pertanto giusto e, in questo senso, "propizio". Il tempo ha una sua identità e ha i suoi cicli che possono essere conosciuti e che consentono di attribuire un carattere ed un valore ad ogni momento dell'esistenza. In questo si comprende il senso dello svolgimento di determinati riti in determinati momenti poichè ciò ci permette di essere consapevoli sulla reale natura del Tempo: ogni forza divina ha quindi il "suo tempo". Il futuro non è un'avventura verso l'ignoto poichè in una certa misura la nostra esistenza, come quella di tutti gli altri esseri viventi, si adegua a dei mega-cicli che vanno ben oltre la nostra capacità di influenzarli. Questa incapacità di comprendere il nostro legame strutturale con il Tempo Sacro ed i suoi cicli è una delle cause principali della grande infelicità che affligge gran parte dell'umanità di oggi. Questa lunga premessa è indispensabile per capire il senso e la collocazione temporale di questo riavvio del ciclo naturale della primavera, di cui accennavo più sopra, che anticamente veniva ritualizzato attraverso il Ver Sacrum. 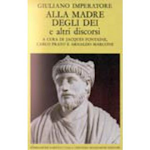 In questa sede non voglio parlare del concetto di Ver Sacrum secondo una prospettiva storica o antropologica: quello di cui desidererei discutere è il senso di questo evento ciclico del calendario Sacro in termini attuali, il senso che può avere per noi Cultores e Cultrices di oggi. Per le sue connessioni con questo concetto di Tempo Sacro, questo momento peculiare, ritualizzato nel Ver Sacrum, appare estremamente complesso e ricco di implicazioni che in questo sede posso solo accennare. Il Ver Sacrum è una consacrazione agli Dei e alle Dee di tutto ciò che è "vivo" e che si appresta a venire alla luce in questo periodo dell'anno. Questo è il Tempo della generazione. Tutta una nuova "generazione", nel senso più letterale ed ampio del termine, viene consacrata alla sfera divina e quindi diventa pienamente reale. Similarmente, questo è il Tempo della ri-generazione: anche quindi la ri-generazione viene consacrata al Divino. Poichè inoltre ciascuno di noi è un microcosmo, in questo periodo dell'anno si riattiva una fase di generazione e rigenerazione fisica e spirituale interiore che viene ritualizzata nel Ver Sacrum e quindi riempita di Divino. Secondo la Tradizione, la generazione e la ri-generazione sono sempre sinonimo di "movimento". Energie e forze in movimento, che sciamano e che vagano liberamente, solo in apparenza secondo il caso, sono alla base della generazione. La Tradizione ci parla, con la voce del mito, di gruppi di giovani, che, seguendo un animale-guida, vagano, si irradiano, attravesando le foreste lungo sentieri invisibili, partendo dall'Omphalos di Cotilia, nel Centro-Italia in Terra Sabina, per popolare la dimensione del selvatico, del non umano. Il Ver Sacrum è questo sciamare rituale, un camminare e vagare rituale, lungo sentieri invisibili seguendo uno spirito-guida, da un centro di irradiazione divina attraverso luoghi altrimenti ostili. Questo camminare rituale avviene nel periodo consacrato a Marte-generatore: non casualmente Marte è la forza divina che ispira i maggiori sodalizi antichi che ritualmente procedevano "danzando" o "camminando" ovvero i Salii e gli Arvali. Spesso gli spiriti guida simbolicamente assumevano le sembianze del Picchio o del Lupo, animali sacri a Marte. Tutta questa rappresentazione mitica deve essere letta ed interpretata in senso non-profano. 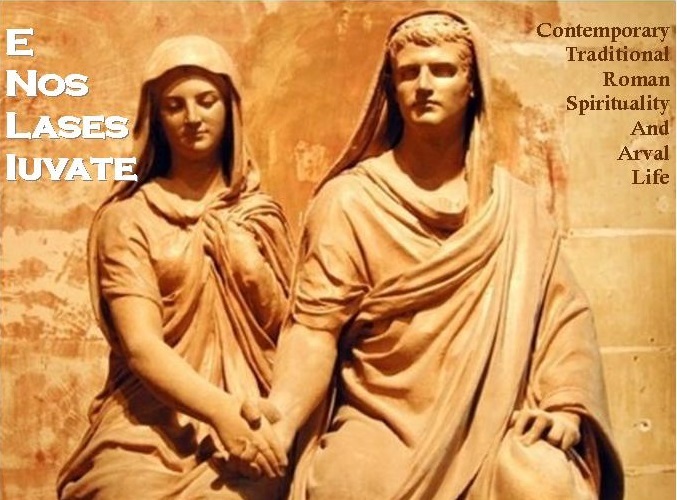 Il camminare assume, soprattutto in questo periodo, una valenza rituale e simbolica molto importante, quasi come metafora, del procedere lungo la Via, del cammino spirituale intrapreso dal Cultor e dalla Cultrix che in questo speciale periodo dell'anno viene riconfermato, ritualizzato e sacralizzato come liturgia di generazione e rigenerazione fisica e spirituale interiore. Tutta l'Italia centrale, proprio a partire dalla terra Sabina, era attraversata da una fitta rete di sentieri invisibili, di strade rituali che venivano percorse in questo periodo dell'anno con delle processioni sacre. Di questa rete invisibile si è persa la memoria, ma alcuni di questi percorsi antichissimi sono ancora visibili. Lungo questi sentieri degli Antenati ogni roccia, sasso, collina, montagna, albero, fiume faceva parte di una "segnaletica sacra e mitica" utile a questo percorso di generazione e rigenerazione simbolica. I giovani e le giovani nel passato (perchè "Nuova Generazione"), e oggi il Cultor e la Cultrix, vagano camminando in modo rituale lungo questi sentieri invisibili in cui ogni elemento naturale è un'indicazione di questo processo di generazione e rigenerazione naturale cui corrisponde una generazione e rigenerazione personale (fisica e spirituale). Durante il Ver Sacrum, il Cultor e la Cultrix, leggendo questa letteratura naturale che li circonda, acquistano piena consapevolezza di questi processi di cui essi stessi diventano parte integrante. Questa mappa di una geografia sacra è fatta anche di miti e segnali che "raccontano", lungo il vagare in movimento, questo processo di generazione. Camminando nel Ver Sacrum, nel viaggio rituale, il Cultor e la Cultrix acquistano la consapevolezza dell'esistenza che viene alla luce. L'esistenza diventa il procedere lungo la Via stessa. la via percorsa dagli Antenati, la Via del Mos Maiorum. Camminare diventa quindi un rito. Come ho accennato precedentemente, la memoria di questi antichissimi sentieri è andata perduta, ma forse qualche traccia è ancora visibile. Ritengo che, ad esempio, le antiche "Tagliate Etrusche" possano essere considerate parte di questa rete di Vie Rituali. Come già detto si tratta di un discorso molto complesso: mi riservo di affrontare la simbologia delle Tagliate Etrusche in uno spazio specifico. Qui posso fornrie solo qualche breve cenno utile all'argomento trattato. La "Tagliata Etrusca" è un tortuoso passaggio scavato nella roccia in tempi remotissimi: scarsa è la luce che vi penetra ed è ricco di curve. Il fatto di essere un percorso scavato nella roccia ha una doppia valenza. Da una parte esso rappresenta il vagare nel cosmo, che è oscuro: la roccia è l'immagine del cosmo e il Cultor e la Cultrix, camminando fra le strette e umide pareti di roccia, penetrano con l'intelletto ciò che è oscuro. Ogni curva è un intervallo simbolico in cui si collocano elementi del cosmo e regioni del cielo. Nello stesso tempo, oltre a rappresentare il cosmo, come elemento generato e sensibile, il procedere fra le strette pareti di roccia umida nell'oscurità simboleggia il procedere tra le potenze invisibili, non percepibili allo sguardo. Si tratta in particolare di un cammino , nella materia generatrice-umida, Mater-Materia: un cammino di andata e ritorno della rinascita. La rigenerazione nella palingenesi. Talking about Polytheism today is not a low profile issue. This is particularly relevant when thinking for example about the agony of the major monotheistic religions (now deprived of their spiritual, symbolic and mystical value) often resulting in a blind and violent fanaticism which highlights their inability to accept the plurality, to interpret World and their inherent weakness. Polytheism presupposes a conceptual basis, also in this case according to a sacred and not profane perspective, much more complex than one might think at first observation. This concept doesn't refer to a simplistic range of "functional" Deities (the God of War, the Goddess of love, the God of fire, the Goddess of health, etc...): polytheism results from a multifaceted perception of reality, Nature, the Universe. It is important to note that polytheism is based on the idea of "different" and "multiple". This diversity and multiplicity of relations are described by continuous flowing, changing, movement. The continuous interactions of these multiplicities, with their movement, combination and alternation, are the representation of the Ultimate Unity at the base of the being and non-being. This relationship between diversity and unity can be found in many sacred symbols such as the symbol of fire (male symbol) and water (female symbol). 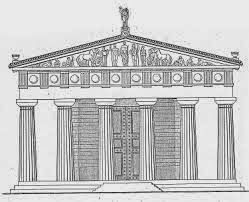 This symbolism can be also found in the tympanum of the Traditional Temple (having therefore something more than a sole and mere architectural function), in which (not coincidentally) were depicted important representations of the Deities. The Ultimate Unity is materialized in the breath cycle that permeates all the reality, resulting from this ongoing relationship between "paradigms" in a continuously interdependent relationship. This multiplicity is not in "hierarchical" opposition: a force is not hierarchically superior to its opposite. The Male does not prevail on Feminine. Each force depends on its opposite, it is completed by its opposite. Each polarity always reveals the presence of its opposite and its dependence on this. To be included in its unity, a force, an energy, thus requires further explanation through its opposite. This complementarity is symbolically described by the "double spiral"
All reality is permeated by these multiple, complementary forces, in a continuous movement, in a continuous flowing like a wave: they become the qualities inherent in the forms of Nature and the Universe (at the micro and macro level) that become therefore dynamic systems of relations and correspondences. The creation, generation and destruction are components of a "cyclical rhythm", a sacred dance that can be found in all the manifestation of the being. Male/Feminine, expansion/contraction, active/passive are symmetrical elements linked by a substantial identity and by relations: from these links the One derives. Considering that the macrocosm and the microcosm are in a specular relation, a man or a woman (when achieving the necessary awareness) can become the "image" of the Universe (in a sacred sense). A man or woman are not elements "detached" from Nature: they not only are part of it, but they can reflect in their inner Temple the image of the Whole. Polytheism, as vision and awareness of the diversity and multiplicity of complementary forces linked by relationships, not only is a key to understanding the nature and the universe, but it is also an instrument of interpretation of the universe within us. It is a way to cultivate a form of Inner polytheism. For this reason, the Traditional Roman Spirituality, being an expression of Polytheism, does not condemn the reality of the world as a source of sin: indeed it is a practice to enjoy the reality of the world in all its forms because "being" and "becoming" coincide, the Absolute depends on the Relative. All manifestations of the Divine, in the male and feminine polarities, are thus manifestations of absolute realities. Deepening the sense of the specific characteristics of a Deity means perceiving the facets of the same absolute Entity taking shape in that God/Goddess. The Traditional Roman spirituality is therefore a "practice", a "path" to evidence this flow, this inner transformation, without absolute truths, without dogmas, based on a continuous questioning. 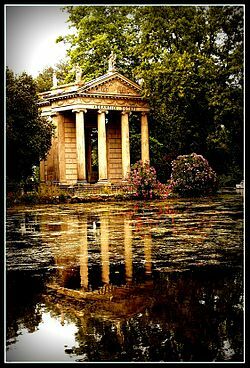 The Traditional Roman Spirituality is a path of inner "growing", also enforcing our perception of the World because Gods and Goddesses are forms of revelation of the Absolute. Transcendent reality can be perceived here and now, in this life, awakening our inner conscience. The body and the senses are not instruments of sin: they can become vehicles of knowledge, tools to approach the Divine. The Sacred Dimension is not a dogma, but it is something that must be experienced, independently from erudition and formalities, in order to perceive the deeper meaning of reality and its symbols. Parlare di Politeismo oggi non è una questione di secondo piano. Ciò è particolarmente rilevante quando si pensa in primo luogo all'agonia delle principali religioni monoteiste che, ormai svuotate di ogni significato spirituale, simbolico e mistico, spesso sfociano nel fanatismo cieco e violento proprio ad evidenziare la loro incapacità di accettare la pluralità, di interpretare il Mondo e la loro intrinseca debolezza. Il "Politeismo" presuppone una base concettuale, anche in questo caso secondo una prospettiva "sacra" e non profana, molto più complessa di quanto si possa pensare a prima vista. Non si tratta infatti di fare riferimento ad un semplicistico ventaglio di Divinità "funzionali" (il Dio della guerra, la Dea dell'amore, il Dio del fuoco, la Dea della Salute, ecc..) quanto di sviluppare una percezione poliedrica della realtà, della Natura, dell'Universo. Innanzitutto bisogna premettere che il Politeismo si fonda sull'idea di "diverso" e di "molteplice". Queste diversità e molteplicità vengono descritte da delle relazioni in continuo fluire, mutamento, movimento. L'interazione continua di queste molteplicità, con il loro susseguirsi ed alternarsi, è tuttavia rappresentazione di quella unità ultima che è alla base dell'essere e del non-essere. Questo rapporto fra molteplicità ed unità si ritrova in molti simboli sacri come ad esempio il simbolo del fuoco (simbolo maschile) e quello dell'acqua (simbolo femminile). Questa simbologia si ritrova anche nel timpano del Tempio Tradizionale (che non ha una sola e mera funzione architettonica), all'interno del quale (non casualmente) venivano raffigurate importanti rappresentazioni del Divino. L'unità ultima si ritrova nel respiro ciclico che permea tutta la realtà, risultante da questo rapporto continuo fra "paradigmi" in continua relazione interdipendente. Infatti non si tratta di una molteplicità in opposizione "gerarchica": una forza non è gerarchicamente superiore al suo contrario. Il Maschile non prevale sul Femminile. Ciascuna forza dipende dal suo contrario. si completa nel suo contrario. Ogni polarità rivela sempre la presenza del suo contrario e la sua dipendenza da questo. Per essere compresa nella sua unità ogni forza quindi richiede la spiegazione complementare del suo opposto. 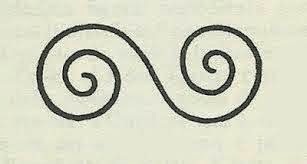 Questa complementarietà è simbolicamente descritta dalla "doppia spirale"
Tutta la realtà è intrisa di queste forze molteplici, complementari, in movimento continuo, in un fluire continuo come un'onda: esse diventano le qualità inerenti le forme della Natura e dell'Universo (a livello micro e a livello macro) che diventano pertanto sistemi dinamici di "relazioni" e corrispondenze. La creazione, la generazione, la distruzione sono componenti di un "ritmo ciclico", una danza sacra che si ritrova in tutti gli stati dell'essere. Maschile/Femminile, espansione/contrazione, attivo/passivo sono elementi simmetrici uniti da una sostanziale identità e legati da relazioni: in questo legame scaturisce l'Uno. Poichè inoltre il macrocosmo ed l microcosmo sono speculari, noi stessi possiamo essere (se ne acquistiamo la consapevolezza) l'immagine fedele dell'Universo (in senso sacro). Un uomo o una donna non sono elementi "staccati" dalla Natura, ma non solo ne sono parte integrante, ma rispecchiano in loro stessi il Tutto. Il Politeismo, come visione e consapevolezza della diversità e molteplicità di forze complementari legate da relazioni, non solo è una chiave di lettura della Natura e dell'Universo, ma è anche uno strumento di interpretazione dell'Universo dentro di noi. Si tratta in pratica di coltivare una forma di Politeismo Interiore. Per questa ragione, la Spiritualità Tradizionale Romana, in quanto espressione del Politeismo, non condanna la realtà del Mondo come fonte di peccato: anzi valorizza la realtà del Mondo in tutte le sue espressioni perchè "essere" e "divenire" coincidono, l'Assoluto dipende dal Relativo. Tutte le manifestazioni del Divino, nelle polarità maschile e femminile, sono quindi manifestazioni di realtà assolute. Approfondire il senso delle specifiche caratteristiche di una Divinità significa intuire in essa le sfaccettature di una medesima entità assoluta originaria che in quella Divinità prende forma. La Spiritualità Tradizionale Romana è quindi una "pratica", un "cammino" per evidenziare questo fluire, questa trasformazione interiore, priva di verità assolute, priva di dogmi, fondata su un interrogarsi continuo. La Spiritualità Tradizionale Romana è un percorso di valorizzazione interiore, ma anche di valorizzazione del Mondo perchè gli Dei e le Dee sono forme di rivelazione dell'Assoluto. La realtà trascendente può essere percepita hic et nunc, nella vita presente, risvegliando la propria coscienza. Il corpo ed i sensi non sono strumenti del peccato, ma possono diventare veicoli di conoscenza, strumenti per approcciarsi al divino. Il Sacro non è un dogma, ma è qualcosa che deve essere sperimentato, indipendentemente da canoni eruditi e formalità, per poter cogliere il significato profondo della realtà e dei suoi simboli.